Nikki Brown joined Equus Industries Ltd in 1990, working in Accounts and Administration at Head Office in sunny Blenheim. As the company expanded she took on the role of Accounts and Administration Manager, becoming the company’s Financial Director in 2006. Over the years Nikki has enjoyed learning more about the other aspects of the business, helping out in other departments to gain an overall understanding of how the company operates. To further develop her skills she completed the National Certificate in First Line Management in 2009, and is currently studying for a Diploma in Construction Management. 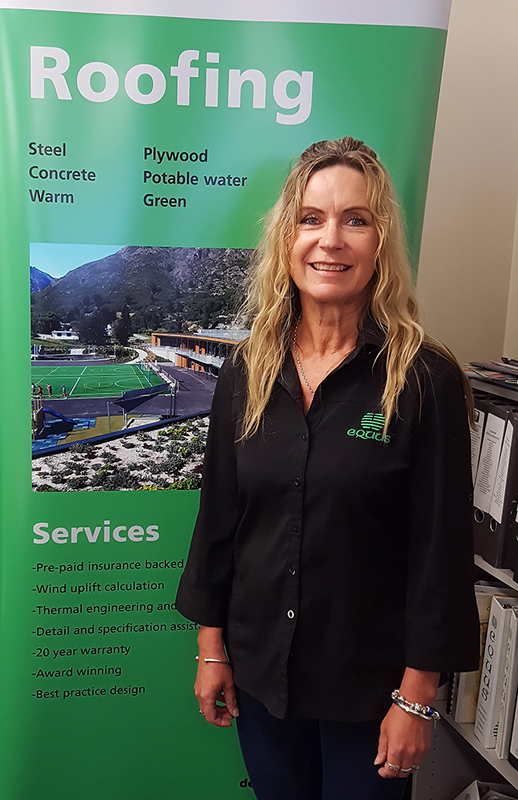 Nikki is now based in the Christchurch branch of Equus, having moved down there following the earthquakes as opportunities opened up for her husband. They have four children between them, with only one still living at home and really enjoy the lifestyle Christchurch offers, living semi-rural with the city on their doorstep. Interests and hobbies include; keeping fit with group fitness classes and walks, travelling and cruising, socialising with friends and family (especially when it involves good food and drink), bargain shopping, reading and watching thrillers and mysteries, fishing. Worst habit; collecting recipes that never get made.